Providenciales, Turks and Caicos Islands (August 24, 2015) – Grace Bay Resorts, in partnership with the Turks and Caicos Tourism Board and The Wine Cellar, today announced the headline chefs and schedule of events for the Caribbean Food & Wine Festival, celebrating its fifth anniversary in November. The annual event pairs internationally renowned chefs and winemakers with Turks & Caicos’ diverse local talent for an authentic and innovative celebration of Caribbean cuisine. Vintners from Davis Bynum Vineyards, Michele Chiarlo and JUSTIN Vineyards & Winery. 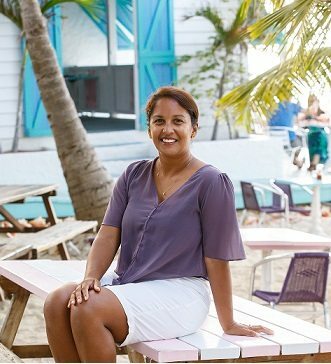 Taking place November 5 – 8, 2015, the non-for-profit festival will raise funds for The Department of Youth Affairs and the Lit’l Chefs mentor program, which supports and encourages young local chefs to develop skills that will assist them in pursuing careers in hospitality, a vital industry of Turks and Caicos. Already acclaimed as the Caribbean’s leading culinary event, the festival is hosted annually to celebrate Caribbean cuisine and culture with an international flair. 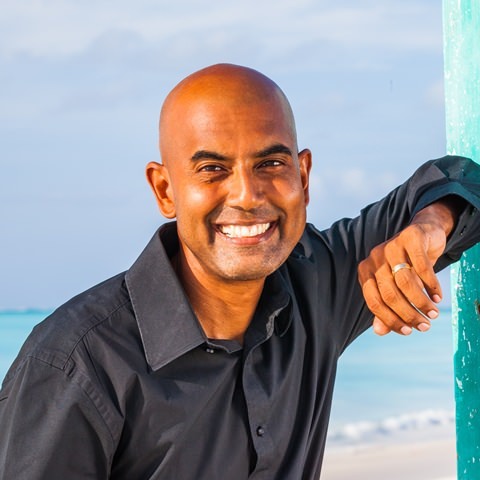 “In just a few short years, the Caribbean Food & Wine Festival has become both a treasured island tradition and a notable event on the international culinary scene, providing an authentic taste of local culture and inspiration from the latest global culinary trends,” said Ralph Higgs, Director of Tourism for Turks and Caicos Islands Tourist Board. The fifth annual event welcomes Iron Chef Alex Guarnaschelli, who is known to millions from her frequent appearances on Food Network, particularly on the popular program Chopped. Early exposure to a wide variety of cuisine shaped her future in food, and upon graduation from Barnard College, Alex set out to further explore her culinary interests. She has worked in some of the world’s top restaurants including Guy Savoy’s eponymous Michelin three-star kitchen in Paris, Larry Forgione’s An American Place, Daniel Boulud’s namesake Daniel in New York City, and Joachim Splichal’s Patina restaurant in Los Angeles. Since 2003, Guarnaschelli has helmed the kitchen as executive chef of Butter Restaurant, where she brings New Yorkers a menu of eclectic American and green market-inspired fare. Sky on 57 Principal Chef Justin Quek, one of Asia’s most celebrated chefs, brings his distinguished take on Franco-Asian cuisine to this year’s festival. His modern approach and mastery of technique has been instrumental in putting Singapore on the global gastronomic map. In a career that has spanned over three decades, he has risen through the ranks, starting as a trainee at the Mandarin Oriental in Singapore followed by The Oriental in Bangkok. He withdrew his life savings to finance a year’s trip to Europe, where he worked in the kitchens of some of the most illustrious Michelin-starred restaurants in the world, honing his skills and establishing his own personal culinary style, which marries the precision of French technique with occasional hints at his Chinese heritage. Chef Kyle Bailey will round out the festival’s roster of top-tier culinary talent. In his current position as Executive Chef at Birch & Barley and ChurchKey in Washington, DC, Bailey draws from the finer points of his past experiences, melding his farm-to-table approach with the uniquely beer-forward mission of both establishments. His pioneering approach has earned him the honor of Rising Culinary Star from the Restaurant Association of Metropolitan Washington and The People’s Best New Chef from Food & Wine. 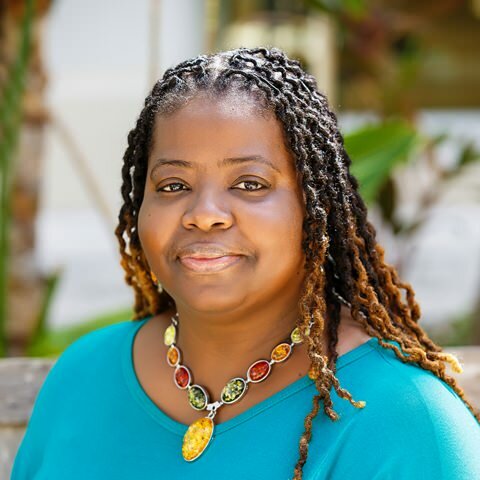 A graduate of the Culinary Institute of America in Hyde Park, New York, Bailey has worked in world-famous luxury resorts in the Caribbean and Florida, including Restaurant St. Michel in Coral Gables, Florida, and the La Palme d’Or at the historic Biltmore Hotel in Miami, among others. Winemaker Greg Morthole, of Davis Bynum Vineyards, sky-rocketed through the ranks from lab analyst to winemaker thanks to his exceptional skills. Morthole currently directs the winery’s small lot winemaking facility, overseeing Rodney Strong reserves and single vineyard Cabernet Sauvignons that have been celebrated with 90+ scores by leading wine publications including Wine Spectator, Connoisseur’s Guide and Wine Enthusiast. Founder of JUSTIN Vineyards & Winery, Justin Baldwin has focused his efforts on producing world class Bordeaux style blends for the JUSTIN label. Justin is a pioneer in producing this style of wine on the Central Coast and his efforts have been rewarded with past and present vintages earning 90+ points by the major wine trade publications. Philadelphia, Atlanta and Toronto. For more information on travel, visit the Turks and Caicos Islands Tourist Board’s website at www.turksandcaicostourism.com or call (800) 241-0824.